2 stone diamond engagement ring uniquely styled with a swirling double bezel to hold 2 perfectly matched round brilliant cut diamonds. Experience the mirror polish and paired perfection of the 'Couplet' Diamond Engagement Ring. 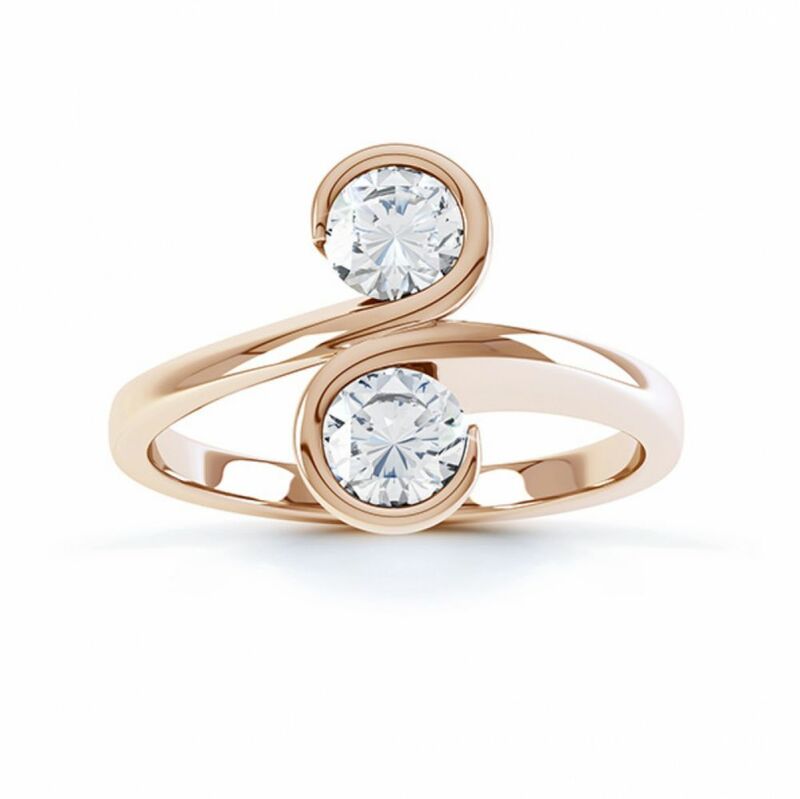 This striking design flows with a swirling flourish—set with two perfectly matched, natural Round Brilliant Diamonds. Dazzling with fire and brilliance, each Diamond is held within a sculptured bezel setting above a 2.5mm comfortable court shaped band. Styled along the finger, this distinctive ring design can be commissioned in a choice of Diamond size options. 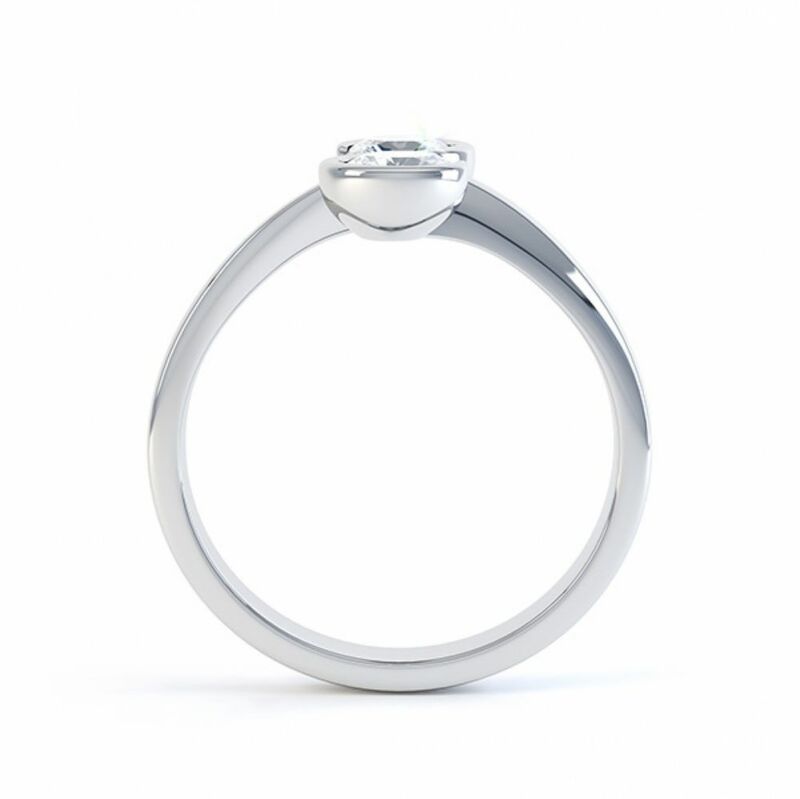 Choose between 0.50cts total Diamond weight, set with 2 x 4mm Diamonds, or 0.60cts, set with 2 x 4.5mm Diamonds and finally our 1 carat version of the ring, crafted with 2 x 5mm half carat, fully certified Diamonds. Select from a further choice of Diamond colour and clarity options tailored to suit most budgets in a range of luxurious precious metals. 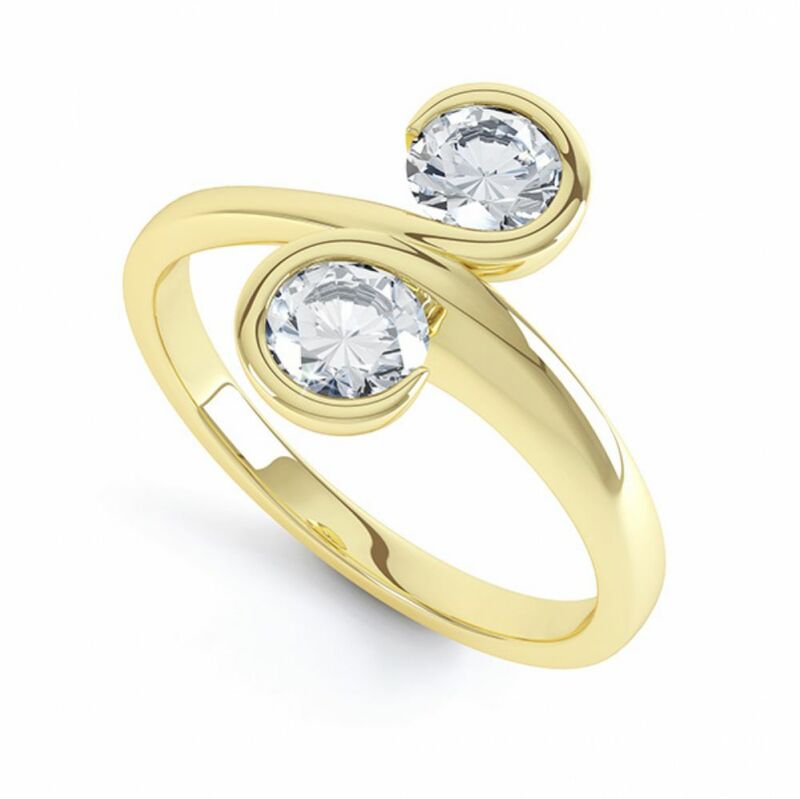 These include 950 Platinum, 950 Palladium, 18ct White Gold, 18ct Yellow Gold, 18ct Rose Gold—never forgetting 100% ethical and traceable Fairtrade Gold. 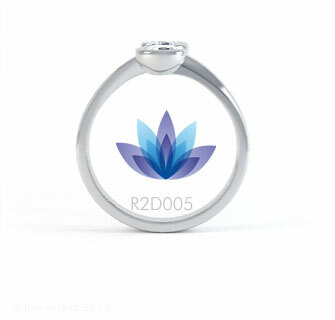 This exquisite ring design can be commissioned in 3-4 weeks during which time the ring is cast, prepared, mounted, hallmarked, set and mirror polished. We present the final commission in luxury packaging. Each ring arrives with two ring boxes—a presentation ring box and a proposal pocket box, accompanied by a detailed insurance valuation. Each purchase includes 60 days returns and a lifetime warranty for your ultimate peace of mind.